Sanding to a bead on a platter. 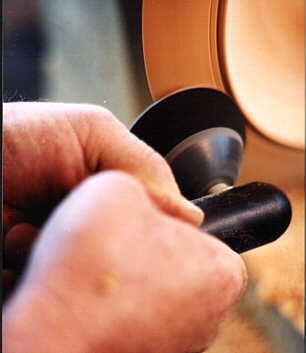 The Rotary Sander is shown here sanding right up to the edge of a bead without destroying the lines of the of the platter it is being used on. The rotating action of the sander head will eliminate all signs of sanding marks from the surface of the finished article.